Security is often cited as a key customer objection to cloud computing. Vendors have been working to allay those concerns and two developments in that regard are taking place in over the pond. First, a European consortium recently launched Trustworthy Clouds (TClouds) as a virtual infrastructure project. 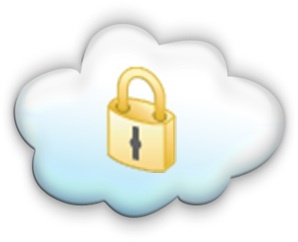 Security is often cited as a key customer objection to cloud computing. Vendors have been working to allay those concerns and two developments in that regard are taking place in over the pond. First, a European consortium recently launched Trustworthy Clouds (TClouds) as a virtual infrastructure project. Consortium members include IBM, Philips Electronics, and security solutions provider Sirrix AG among other corporate and academic participants. Second, Hewlett-Packard has opened a security-centric cloud demo center in England. Here are the updates. The TClouds project Web site indicates that the initiative will run through September 2013 and has obtained 7.5 million Euros (about US$10 million) in funding. Earlier this month, HP debuted its G-Cloud Theatre, a demo center in Bristol, England. The theater, an HP spokeswoman said, will demonstrate how a government-oriented, cloud-based security system would fend off a security incident. HP, for example, runs simulated botnet attacks through its cloud system to show how it responds. The demo center is built around HP Labs intellectual property. Why the current focus in Europe? Security and privacy have become issues in the development of cross-border clouds. Privacy laws currently place limits on the flow of information among countries, a situation that has slowed the growth of cloud computing in Europe.